New York, NY, March 14, 2019 --(PR.com)-- Peptide separation is currently a very active research area that has broad applications in proteomics study of therapeutic peptides, analysis of complex synthetic peptide crude mixtures, and optimization of peptides conditions in on-line comprehensive two-dimensional reversed phase liquid chromatography. Liquid chromatography is the most efficacious methods for analysis，separation and purification of proteins. Liquid chromatography (LC) can be applied to the separation of most compound in solution. This process is widely used in the extraction and purification of active protein from body fluids of natural plant, animal and biotechnology. Liquid chromatography has been used to accelerate separation of solutes since the 1960s. Whether one-dimensional (1-D), two-dimensional (2-D), or multidimensional (mD) liquid chromatography (LC) is used depends upon the need for fast separation, high resolution, or a compromise between the two. An interesting fact is that up until 1973, over 14 Nobel Prizes have been awarded to scientists with involving in liquid Chromatography, two of them are especially for chromatography in 1947 and 1952. Esteemed Chemistry scholar Prof. Xindu Geng currently serving as the Chief Scientist of Suzhou Primacy Science and Technology Co has acquired a patent on multidimensional liquid chromatography separation systems, also as a universal platform for protein separation by the same platform which three columns, 9 separation models for 2D-LC, 27 models for 3D-LC, respectively. Multiple-dimensional liquid chromatography (mD-LC) has been a power tool for substances in a complex sample, especially for fast separation of biopolymers in small scale in proteomics and drug purification in industrial scale. The purification method can carry out separation, rapid analysis and large scale preparation of peptides and proteins. This method is on-line which shortens the purification technology, increase the separation speed of carrying out “one-minute liquid chromatography” and recovery of target products during the process of two dimensional and multi dimensional separation. This invention might go onto become an essential part of the biochemistry laboratory helpful in finding the "mark" protein which is a great deal to proteomics (large-scale study of proteins). This system not only prevents environmental pollution but can also make the "target protein" quantlitatively transported to the second dimension of chromatographic separation. This patent throws light on preparation and production of recombinant protein in genetic engineering. The purification of therapeutic protein of monoclonal antibody conventional needs about 10 to 15 days, shortening several hours by employing the establishing system, resulting to decrease produce expense, at least 50%. “This reduces environmental contamination while being economical and less time consuming,” asserts Prof. Geng. Prof. Geng‘s efforts have also lead to a new separation principle of proteins by liquid chromatography resulting in ultrafast high-resolution separation. In comparing with traditional separation theory of a substance of a single variable which depends on partition coefficient, the found new two variable-theory of steady region (SR) and migration region (MR) has advantages in both science and technology. The groundbreaking discovery features can be used: (1) for ultrafast separation of proteins using very short columns under high flow rates to maintain a high resolution; (2) the SR as an operation space (OP) for all assisted operations in online two dimensional LC (2D-LC) to carry out high- throughout protein analysis and separations. In the findings of a published study by Geng in the Journal of Science China Chemistry on the two variable-theory of peptides under gradient elution in 2017, a dynamic separation method for the rapid identification and improvement of the selectivity of peptides achieved by simply changing the mobile phase flow-rate (MPF-R). It was also tested by six standard oligopeptides (OPs) and trypsin-digested peptides of lysozyme, giving positive results. Prof. Geng’s have improved the world of proteomics vastly even enabling peptide and protein. "Partition coefficient of one variable theory has been employed In the past over one century, the two two-varaiable of 'stead region–migration region' theory has just started," says Prof. Geng with a sparkle in his eye. When Prof. Xindu Geng was 19 years old in 1960, he became a faculty member at Department of Chemistry of Northwest University (NWU, Xi’an, China) until 1981 and then joined as a full time professor of Chemistry in 1986. Prof. Geng also served as a faculty member at the University of Minnesota from 1981-1982. Prof. Geng then went onto assume the position of Visiting Professor at Purdue University in two different capacities, firstly in the Department of Biochemistry from 1982-1984 and in the Department Chemistry from 1985-1996, He has also served as a visiting professor in the Department of Chemistry at Creighton University in 2001. At present, Prof. Geng also holds the position of Director of Institute of Modern Separation Science of Northwest University from 1984 and Chief Scientist of Suzhou Primacy Science and Technology Co. from 2018 till present day. Prof. Geng published more than 300 papers in reputed journals, four books and has over ten patents to his name. 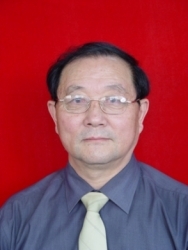 Prof. Geng has established unified stoichiometric displacement theory in both separation science and physical chemistry, theoretical framework of modern separation science, cell membrane chromatography, protein folding liquid chromatography, two-dimensional liquid chromatography by a single column, and two-variable theory of substances separation in liquid chromatography. Prof. Geng won 2 awards in National Scientific and Technology Rank of China; 5 awards in first rank of Provincial and States in China. He was separately awarded “life Achievement Award” by Institute of International Biography in 2009 and Chinese Biomedical Chromatography Society in 2018.